I NEED to help the Agile Customer ensure the team works on stories that deliver the highest business value possible. If an Agile Customer cannot be identified or is unavailable to the team, you can nominate an Agile Customer Proxy to act on behalf of the Agile Customer to the team. I act as a communication channel between the Agile Customer and the rest of the team. I review the backlog with the Agile Customer. 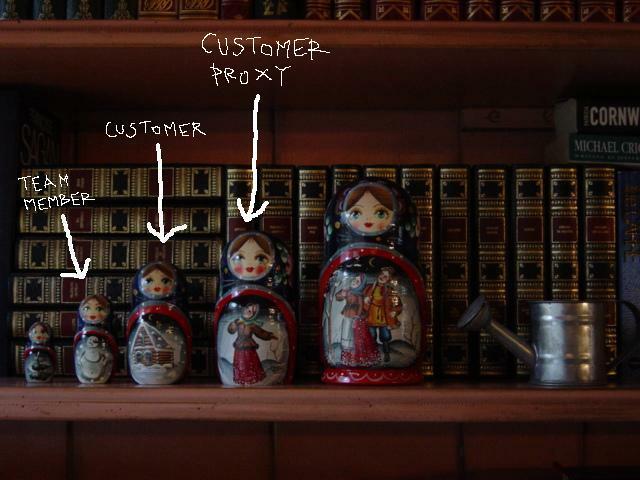 The entry 'The Role of an Agile Customer Proxy' was posted on April 20th, 2009 at 3:00 pm	and last modified on April 25th, 2009 at 6:12 pm, and is filed under Coach's Log, Team. You can follow any responses to this entry through the RSS 2.0 feed. You can leave a response, or trackback from your own site.